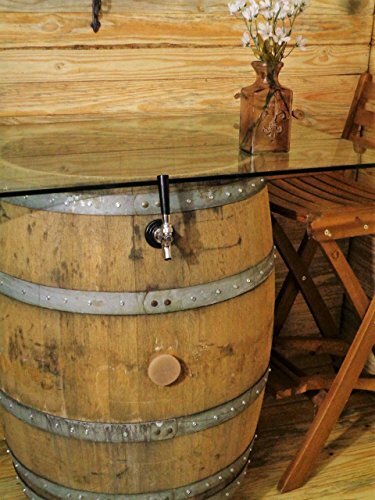 Oak Barrel Kegerator Bar Table - Moar Stuff - You don't need it but you know you want it. 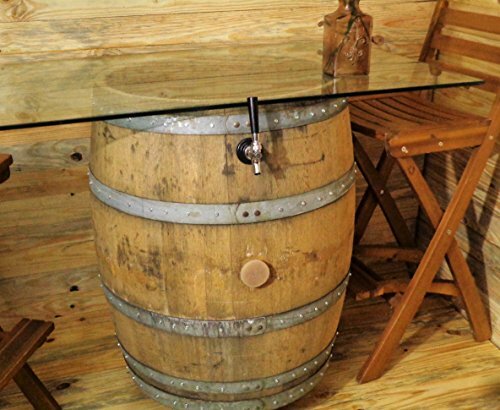 This 38″ tall, glass topped, Oak Barrel Kegerator Bar Table is a great addition to your man cave! Just imagine sitting at the table with a friend and pouring yourselves a nice cold one without needing to get up. Talk about a great way to watch the game! While it doesn’t come with a keg, something about the ATF being pissy about mailing kegs of beer to people’s houses, it does come with a 7.5 lb CO2 tank, keg-coupler, gauges, safety valve, and tap. 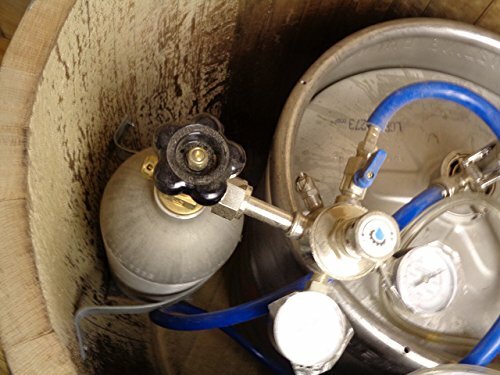 All you have to do is drop in your favorite keg beer, hook it up and cover with ice. After that, it’s a simple matter of learning how to do a good pour without too much head. 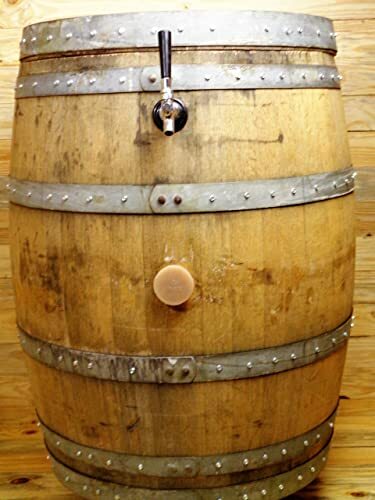 There’s even a T-style handle that you can access without opening the barrel so you can easily adjust the keg pressure. A gauge on the outside of the barrel lets you know when you need to change the keg or CO2 tank. There’s even a drain hole for handling the melt water from the ice. Basically, it’s a pro-grade keg setup with an awesome bar table thrown in for free. Don't need to tabletop? No problem you can save a little cash by getting just the barrel part. 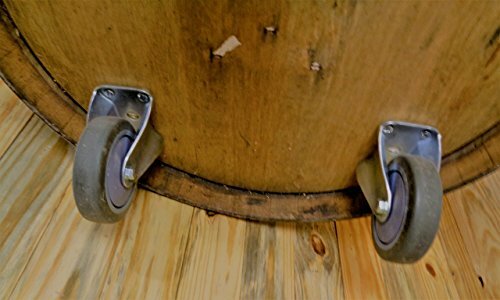 It even has a set of 5 inch caster wheels to let you easily move it around your man cave, deck, or patio. Every one of these kegerators is hand made so you’re may vary a bit from the pictures. 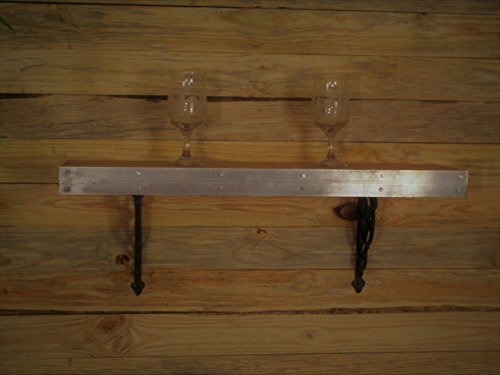 Barrel Dimensions: 28 x 35 x 28 inches. Tabletop Dimensions: 30 x 48 inches. Mahogany finish on the barrel. It may vary a bit from the pictures. Keg and bar stools not included.